Respected literati and senior government officials have paid tribute to the Jewish Iranian lexicographer, Solayman Haim, in a gathering in Tehran. 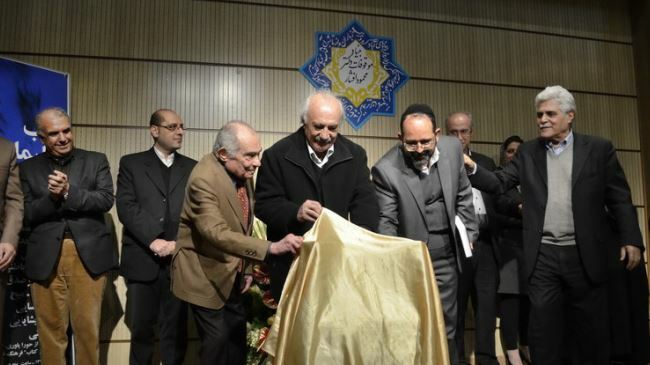 Literary figures and government officials attended a ceremony organized by Tehran’s Association of Jews on Sunday in commemoration of Haim and for his great services to the Persian language. Haim, who is also known as Hayyim, dedicated almost his entire life to translation and writing dictionaries. He died at the age of 82 in February 1970 in Tehran and is known as the father of bilingual dictionary in Iran. During the ceremony, Gholamali Haddad Adel, who serves as the director of the Academy of Persian Language and Literature, praised Haim for his great achievements and endeavors in expanding the Persian language. Haddad Adel said many Iranians of his age started learning English with Haim dictionary. Mohammad Reza Batebi, a well-known professor of linguistics, said during the ceremony that “what Haim did was beyond the power and energy of a man,” reflecting his deep love and affection for the job. Siamak Meresedq, the representative of the Jewish community in Iran’s Parliament (Majlis), commented on the role of the Persian language in creating solidarity among various ethnic groups in Iran. He said Iranian Jews have hugely contributed to the expansion of the Persian language as a way to facilitate their coexistence with followers of other religions in the country.